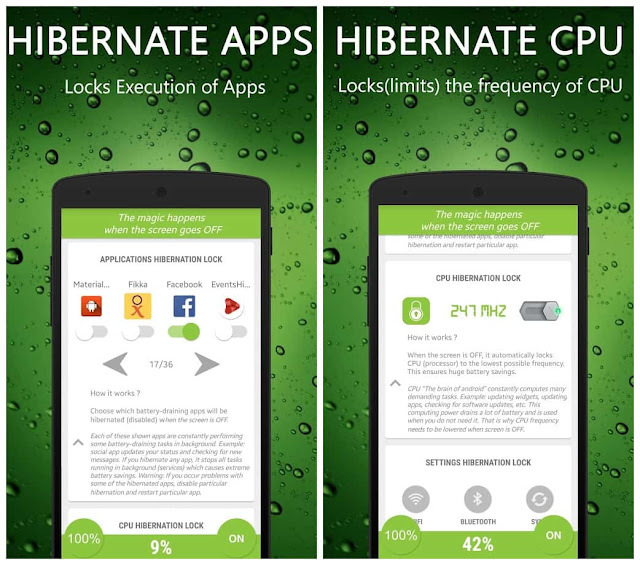 Hibernate app is for both Rooted & Non-Rooted Users who want to improve their poor battery life. 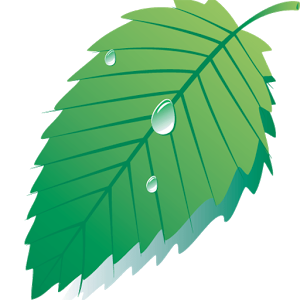 Hibernation is a state of inactivity that is characterized by low device temperature, slow processor execution & by disabling the execution of battery draining apps. There are many apps that saves battery, however Hibernate app uses the most proven techniques to achieve the best results. This app detects all the battery draining apps which are currently installed in your device, it lets user to select those battery draining apps which they want to Hibernate. It disables and locks the execution of battery draining apps to make them in deep sleep mode. However, the hibernation of apps is only effective when the screen is turned OFF. Whenever the CPU is running with full speed, the phone becomes hot. Full speed means high clock speed & high frequency of CPU. Suppose your android phone has 1.9 GHz (i.e 1900 MHz) Octa-Core Processor, Hibernating CPU will limit the CPU frequency up to 500 MHz and it will uses 4 Cores instead of 8. So, this techniques lowers CPU temperature & saves battery consumption. You can even Hibernate Settings like WIFI, Bluetooth, Data Connection & Sync. Its like whenever you turn OFF the screen, WiFi becomes OFF & whenever you turn ON the screen, WiFi starts automatically. The same thing applies to Data Connection, Bluetooth & Sync also. Note: This app have an in-app-purchase to unlock 100% hibernation. It does not disable ads. If you have any question/suggestion please mail us. If you like this app, please share it by clicking the share button. You can also Say Thanks by rating this app 5 stars. Thanks for your patience & support.